“CircleLoop is focused on taking on the traditional telecoms providers with some new thinking as a digitally led challenger in the telecoms sector. “CircleLoop is cloud-based phone software for business and is designed for modern-day, smart-thinking businesses with its easy to use self-service approach, which ensures cost savings by eliminating the need for expensive desk phones, line rentals and long-term contracts. “CircleLoop works completely in desktop and mobile ‘apps’ on users’ existing devices. “The idea came from observing how difficult it was to deal with major telecoms providers in the businesses we have operated previously. Damian: “I have always worked in a number of sales and commercial roles. “I was previously Group Sales Director of mobile technology business, 2ergo Group Plc. Damian: “In my early career, I just liked being in business generally. “After about 10 years of working with other entrepreneurs and founders, I decided it was the right time to start my own business, which I did in 2010. 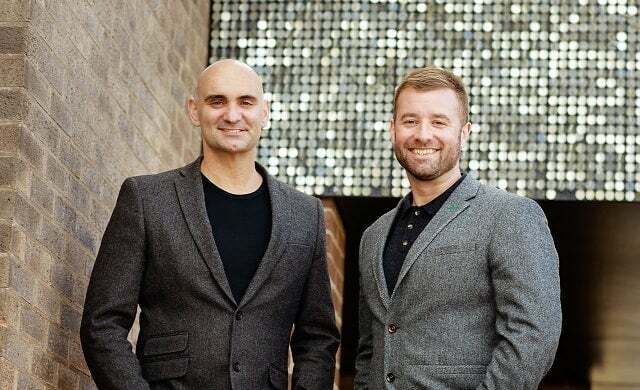 “CircleLoop was initially seed funded by us as co-founders, alongside other private investors we have included in our initial £1.5m seed fund round. “In our past businesses, we have always worked with angel investors, often people we have great existing relationships with and have worked with in business. “We charge a low monthly fee for CircleLoop. It costs just £15 per month and, for this fee, each user of the service gets their business phone number, all our telephony features and unlimited outbound UK calls. “As an early stage start-up, we feel every single day presents challenges, some more trivial than others. “The first time someone wants to pay you in return for your service is a huge breakthrough; this means another business can see the value in your vision and what you have created. “We see a huge shift in the telecoms sector in the next decade. “BT has announced it will be switching off PSTN and ISDN connections by 2025, and 5G mobile data will dramatically increase the speed at which data is transferred, improving response times and providing capacity for billions of devices to be connected in the internet of things in the future. Find out how you can achieve greater flexibility in your business by downloading CircleLoop’s free guide to business phone systems here.